Here is MISS PRISS in her skirt and shirt I showed you in an earlier post! 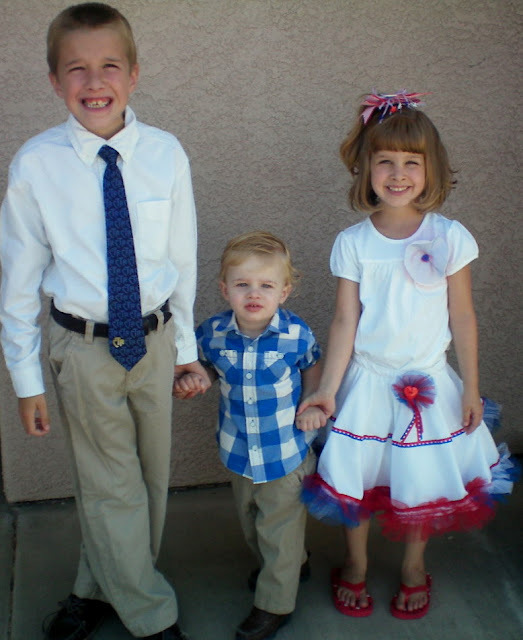 My ALL AMERICAN KIDS~ ready for church! HAVE A SUPER FAB. 4TH OF JULY!!! She is absolutely gorgeous! Love the outfit! And the boys are so handsome! How cute!!! I love your lil’ mans plaid shirt!!! Awwww, cute 4th of July kids! Super cute kids!! Outfits are fabulous! Oh my goodness, what a doll! All three are too sweet!